Our product range includes a wide range of direct expansion intertwined coils, direct expansion coils and direct expansion evaporator coils. We are the well known manufacturers and suppliers of premium quality direct expansion intertwined coils. This wide range of Direct Expansion Intertwined Coils is manufactured to come up with all kinds of business applications. These direct expansion intertwined coils should be building up to insure proper oil arrival. Our direct expansion intertwined coils are greatly in demand at industrial place. The material used while manufacturing these are tested and of high rating. These direct intertwined coils are appreciated by our clients for its designs and reliability. Backed by technical workforce and hard-earned industrial experience, we are able to manufacture and supply a wide array of Direct Expansion Coils. These coils are thoroughly tested against numerous parameters of quality to deliver the defect free assortment at clients’ end. The products offered by us are available in various sizes as per different requirements of our clients. Apart from this, these products are highly praised among the clients for their several qualitative features like remarkable quality and flawlessness. 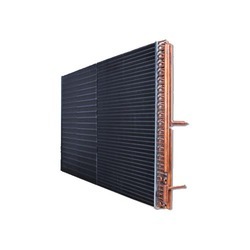 We are highly engaged in the field of manufacturing and supply of Direct Expansion Evaporator Coils. 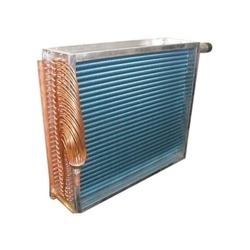 These direct expansion coils are engineered and intended to convey highest heat transmit efficiency under a wide range of working conditions. These direct expansion coils are available in various shades and shapes. We are offering a wide range variety of direct expansion coil to meet the performance requirement of various applications. 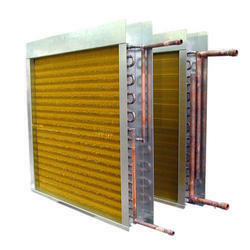 Our direct expansion coils are highly demanded for its vast use as in heating and cooling purpose.